Creamy buttermilk mashed potatoes seasoned with salt, pepper and fresh chives. A perfect side dish for Thanksgiving turkey, roasted chicken, pork chops n’ apple sauce or garlic lover’s roast beef. 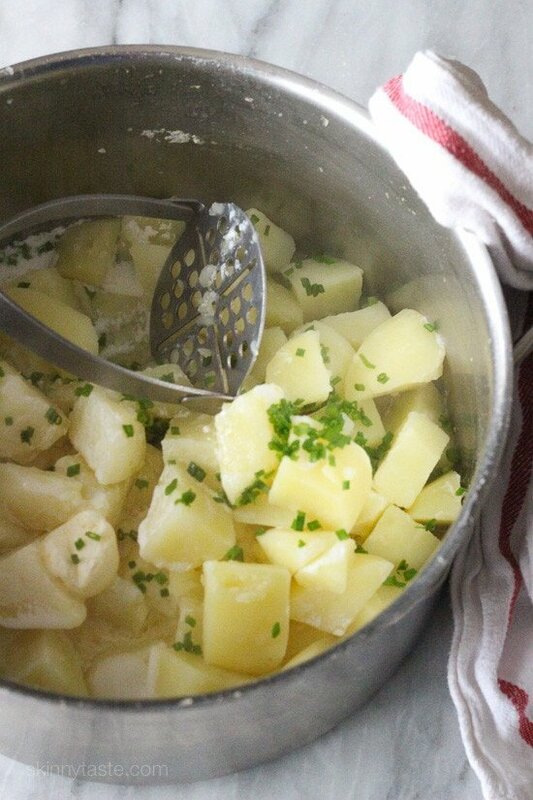 I love using buttermilk in my mashed potatoes, it’s rich and creamy with a slight tang and it’s naturally low in fat. People always ask me what they should do with their leftover buttermilk when they make my scones, well this is the easiest way to use it up. Yukon gold potatoes have a beautiful golden color with a buttery texture, they are perfect for making skinny mashed potatoes! If you are making this as a Thanksgiving side dish, simply double the recipe and add more or less buttermilk depending on the consistency you desire. 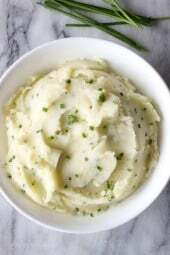 If you prefer making mashed potatoes without the buttermilk, see my Skinny Garlic Mashed Potato recipe. Enjoy!! 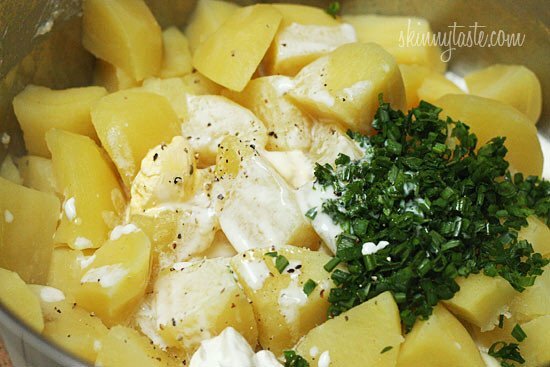 Put potatoes and in a large pot with salt and enough water to cover. Bring to a boil. Add buttermilk, light butter and remaining ingredients. Mash until smooth. Season with salt and pepper to taste.